First off, our apologies as this took longer than anticipated, but we are finally ready to unveil our new WWE list of those to consider for their Hall of Fame. With the exception of our Rock and Roll list, the 375 wrestling performers we have ranked are the largest that we have here at Notinhalloffame.com. While the 2018 WWE Hall of Fame saw twelve of our ranked wrestlers (28. Bill Goldberg, 36. Stan Stasiak, 40. El Santo, 43. Jim Londos, 45. Jeff Jarrett, 65. Mark Henry, 84. Lord Alfred Hayes, 104. Hillbilly Jim, 180. Ivory, 182. Sputinik Monroe, 188. Hiro Matsuda and 191. Boris Malenko) selected however nobody from our top 25 was chosen. As such there is not much of a difference between last year’s list and this one. Still, we always adapt and we have made some changes that we are excited to tell you about! dead. Triple H said that the only reason he isn’t in is because Vince wouldn’t let him! Literally this is the case of “over his dead body”. is only a matter of time as he will likely go in as soon as the WWE feels that he is finished. The Rock. From one of the most popular professional wrestlers to one of the most successful movie stars, Dwayne Johnson likely has a standing invitation for the WWE Hall of Fame. The only question is if he can fit it into his busy schedule! Triple H. Because of his position as COO, it would be hard for it not to be considered shady if he gets into the Hall of Fame, but his body of work in the ring is worthy and just on his work in the re-creation of NXT alone he has won over many of his harsh critics. We think he is likely to take the Vince McMahon approach in that he won’t let himself get inducted…at least for now. Ivan Koloff. Born in Quebec but representing the Soviet Union, Ivan Koloff wrestled for decades and was the man who ended Bruno Sammartino’s eight year run as the WWWF World Heavyweight Champion. Koloff wrestled everywhere in the U.S. and Canada and was a bona fide headliner everywhere. Sadly any induction for him now would be posthumous, as he died a couple of years ago. Chris Jericho. Jericho may be very much active (he just recently won the IWGP Intercontinental Title) but we have a rule on our Notinhalloffame.com wrestling list that once you reach the age of 46 you automatically move from the futures to the main list. Jericho likely still has many more small runs in him in the WWE but will be a main event inductee when he is ready. Bruiser Brody. Brody famously died when he was stabbed by a fellow wrestler in Puerto Rico, which ended the career of the best brawler in professional wrestling history. Brody was a true rebel of the industry and while he was not associated with the WWE his legend fits in that institution. Kane. Notably the above seven have the same ranking as last year. Kane however has moved up from #11 to #8. Like Jericho, Kane is still somewhat active in the WWE, though the man named Glenn Jacobs is focusing more on his political career. 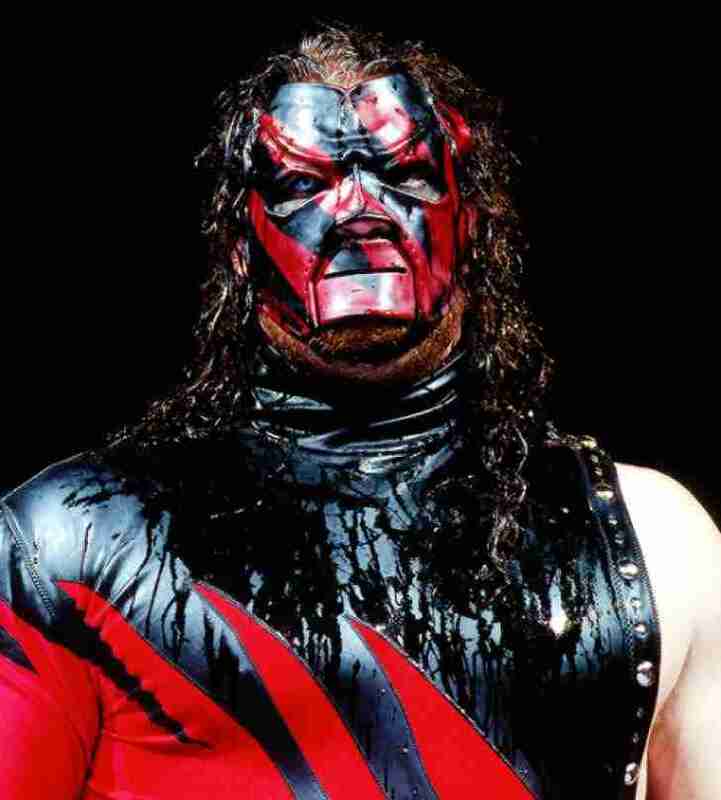 Like Chris Jericho, Kane’s age places him on our main list as opposed to the Futures. Batista. Batista dropped one spot from #8. While his last run was not a career highlight the former multi-time WWE Champion has been vocal about wanting one more run followed by an official retirement. Hopefully he succeeds in obtaining that wish. Owen Hart. Hart moved up from #12 but as long as there is Martha Hart the odds of Owen making the WWE Hall of Fame seems slim. Owen remains one of the locks that the WWE is afraid to pull the trigger on. Honestly, who can blame them? While there were no additions in our top 100 there are certainly new names on our Notinhalloffame.com WWE list. The highest new entry is R-Truth, who based on our mandatory age limit (discussed above with Chris Jericho) is now on our main list. Truth debuts at #189. As always we here at Notinhalloffame.com continue to look at others who we may have missed. As such we have some new entries on our now Notinhallofame.com WWE 375. Former AWA World Heavyweight Champion, The Mighty Igor debuts at #244. Former regional faux Japanese headliner Kenji Shibuya makes his first appearance at #271. Former Cleveland legend Johnny Powers debuts at #313. The final three entries, which are new are Count Billy Varga #373, Neff Maivia #374 and Akira Taue at #375. Notably Daniel Bryan who was ranked #9 has been put back into our futures. You know what we want you do to! Take a look at our new list and cast your votes and offer us your opinions. As always, we here at Notinhalloffame.com thanks you for all of your support!